Wow for Quad. Wow for Garrard. Wow and Wow for the model!!! I tried, unsuccessfully, to find any info on Dracula's Console. 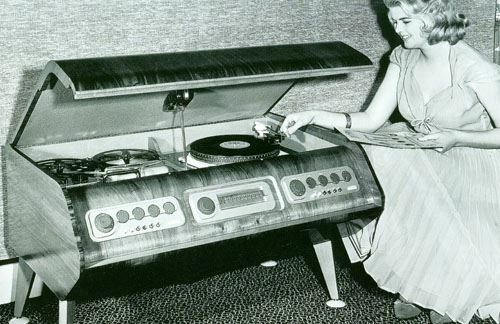 It looks like a separate pre-amp for the tape deck and the turntable? Probably a separate amp for each as well? Nice work Iain. You handled this very well. Even dual preamps early stereo. I’d love to build something like this. Ample in so many ways. My first "stereo" was two Stromberg Carlson hifi amps on my dresser and a brand new EV stereo cartridge in the SC phonograph.